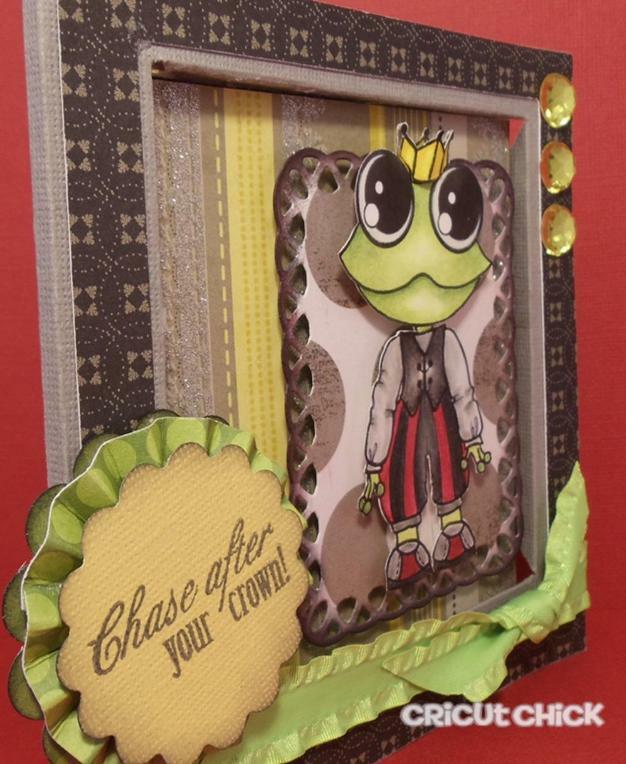 I used the "Chase after your crown!" stamp. 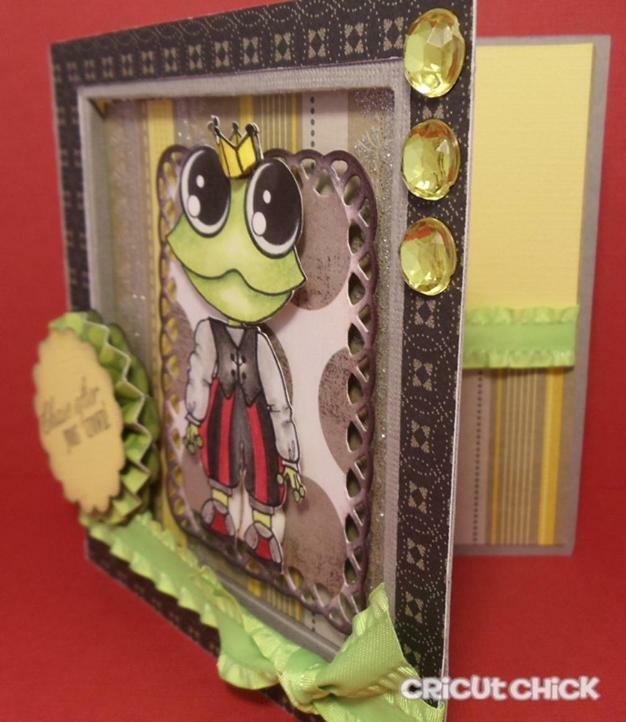 other sets over at the Queen's Royal Shoppe HERE..
Gorgeous card with the froggy card! Oh My Gosh.. he is ADORABLE! Love your card.. its really fantastic!!! Too cute. You did a great job. Very cute card! Love the frog! He is so so so cute and fun. The perfect stamp along side him. Love this. Love your card and the adorable image that you used. Beautiful Coloring. That sentiment is just perfect. Julie, this is tooooo cute. I really like all the layers of the card and the sentiment fits perfectly. I love the eyes on this frog!! And it goes pefectly with the sentiment. Love those eyes, how cute! 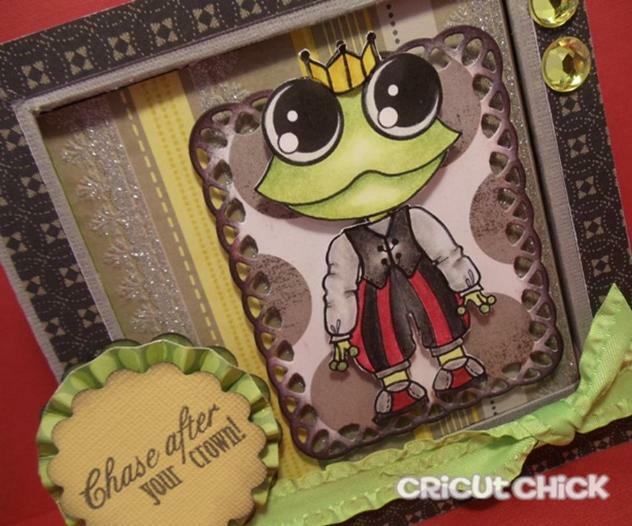 I love this froggy and its big eyes and fancy clothes! thanks for the inspiration and the giveaway! Such a super cute card! Love that Prince :o) Hugs! Awwwww!! 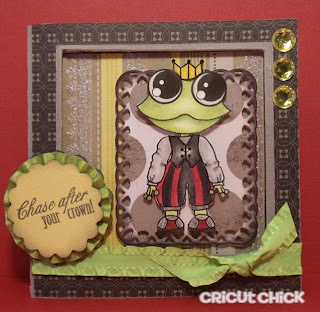 !What an adorable Frog!! 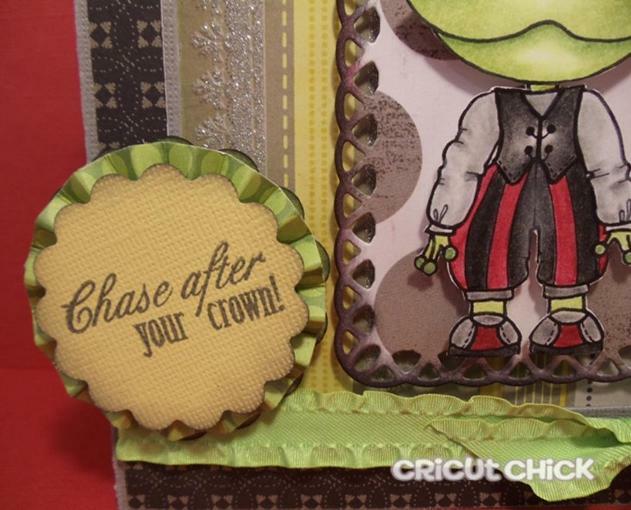 !Sweet Card!